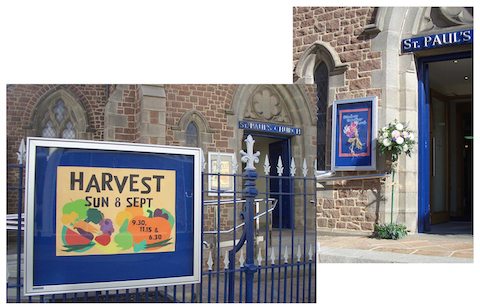 Does your church have posters outside? Hand-made posters attract attention and show that there's life in the church! A bold splash of paint or a 3-D collage will catch the eye, where computer-made posters often don't. If you'd like to make posters, but don't know where to start, why not invite POSTERS PLUS to run a workshop in your church? Or, to find out more straight away, you could order the book that tells you all you need to know about making posters!